I sat across the table from my friend at lunch as she tearfully recounted the ways I had disappointed her. I hadn’t called in quite awhile. I rarely took the time anymore to check in on her. We didn’t get together as often as we used to. I had hurt her. And in hearing about it, it hurt me. I was frustrated at the fact that, if I had to do it over again, I wouldn’t have known what to do differently in order to not hurt this friend. It was one of those days when one complaint felt like a million – when one woman’s unhappiness with me represented the whole world’s disappointment with me. If she could just see my heart, I thought to myself. Then she would know I had never intended to make her feel that way. I turned to Psalm 139, a song of comfort that often reminds me of the One who knows me unlike any other. You are aware of all my ways” (verses 2-3, CSB). It was comforting to know that God could see my heart. He knows my intentions. And He knows every time I mean well but don’t express it, every time I mess up but didn’t intend to, every time I’m misunderstood and miserable. He knows. And He extends grace anyway. I wrote out a card to that friend and mailed it that day. I reminded her that I loved her and apologized for failing to show it. And I made a conscious decision that day to extend a bit further and call more frequently when it came to that friend. If you’re feeling alone today because you’ve been misunderstood, or because you feel you haven’t been the best friend you could be, take heart: There is One who knows all about you and loves you just the same. Lord, may You be the One I run to when I am frustrated from disappointing another person. Thank You that as many times as I’ve disappointed You, You still call me friend. 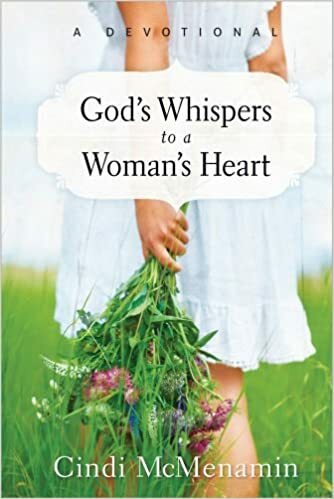 About the author: Cindi McMenamin is an award-winning writer and national speaker who helps women strengthen their relationship with God and others. She is the author of 16 books including Letting God Meet Your Emotional Needs, God’s Whispers to a Woman’s Heart, and Drama Free: Finding Peace When Emotions Overwhelm You. For more on her books and resources to strengthen your soul, marriage, and parenting, or for more information on her coaching services to help you write the book on your heart, see her website: www.StrengthForTheSoul.com. Join the conversation: When was the last time you felt misunderstood? Next ›Are You Ready for God’s Abundant Blessings? I leave every conversation worried I said the wrong thing or said something in the wrong way. What a relief it is to know God knows my intentions! Yes, it’s wonderful to know He understands our motives and intentions and even how we come across to others. He surely has our backs. Thanks, Julie. Wow! This is definitely the comfort I needed. Thank God for sending me comfort via your wise words. Recently, I’ve lacking time to communicate with extended family members. They too have misunderstood my lack of communication. Thank you Cindi. I needed this word this morning. I’ve been on both sides of this…thankful He knows and understands. So encouraging!